Turning into D’Andrea Marketplace, I didn’t know what to expect visiting Chase International’s Sparks office for the very first time. On the outside, it seemed Tuscan. But walking through the door early one morning, I found myself someplace completely different—a vibrant, contemporary space. My eye went right to the bold orange wall with the brushed steel logo that welcomes every visitor, then drifted to the workspaces beyond. Cream-colored ceilings and exposed beams, neutral tones with pops of orange and low walls for easy collaboration gave a sense of warmth, life and space. Glassed-in offices defined the perimeter, anchored by a beautiful little meditation room with four white chairs and low lighting for easier reflection. Everywhere I looked I saw inspirational messages. Tiffany Ahrens has been the managing broker in the Sparks office since February 2018. Exposed to real estate at an early age by her father who was a custom homebuilder, she grew up in Zephyr Cove where Chase was a prominent part of the community. After graduating high school, she pursued her dream of becoming a professional dancer, a passion fulfilled over many years. Then her daughter was born, and life changed in a beautiful way. Her Dad suggested she get her real estate license. 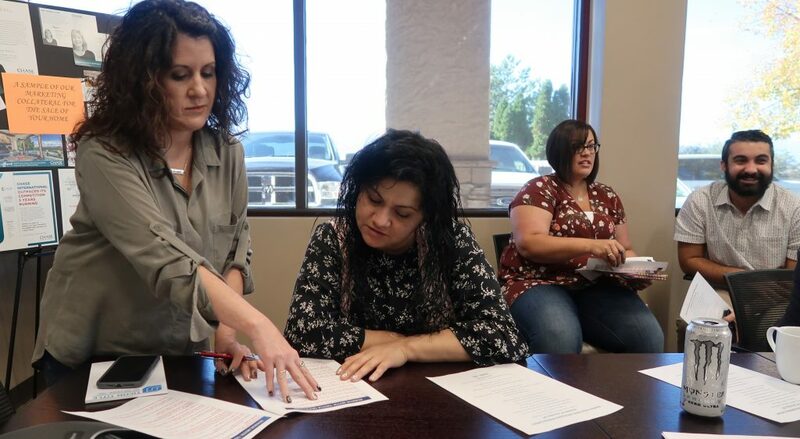 Tiffany thought it was a good idea, so she took the classes, passed her test and started out at Toll Brothers in new home development sales to learn more about the business side of real estate. There she learned how to engage with people, overcome objections, create the dream and sell really difficult properties during the worst market ever. When her daughter was two, she went back to school to get her business degree while still working full time. During that period, Tiffany sold through the remaining inventory in her development and then went to work for another broker in town selling resale homes. Within a year, the owner asked Tiffany to get her broker license to help him grow his business. She agreed. She found she had a knack for managing people. The following year, recruited by a dear family friend, she made the move to Chase International. Tiffany knew that being accepted into the Chase family was special and that this would be the place where her career would elevate and really take off. Tiffany spent years building a successful real estate business and a life she loved before being given the opportunity to lead the Sparks office. Ready for a new challenge, she accepted. Chase immediately sent her to Maestro Leadership Certification training, an elite program offered through Leading Real Estate Companies of the World. Tiffany returned with a new understanding of what it takes to be a good leader and a clear vision for reinventing her office. Shari Chase founded Chase International with a focus on creating exceptional client experiences. Tiffany wholeheartedly supports this and believes that by fully supporting individual agents, she can carry that vision through to the end result, helping agents elevate the service they provide to their clients. After speaking with Tiffany and wandering around the office taking pictures, I walked back to the lobby to get a cup of tea. Agents trickled in for the weekly sales meeting, while two team members set up a Halloween lunch buffet. Jacqueline Zamboni, the receptionist, greeted everyone with a friendly smile. Assistant Manager Gregg Moore spotted a new agent walking through the door. He immediately walked over, welcomed her to the family and introduced her around. Gregg took on the role of assistant manager at the Sparks office about the same time Tiffany became manager. The two of them have a great working partnership, a synergy you can’t help but notice. Raised in California, his father had a real estate company for 35 years. 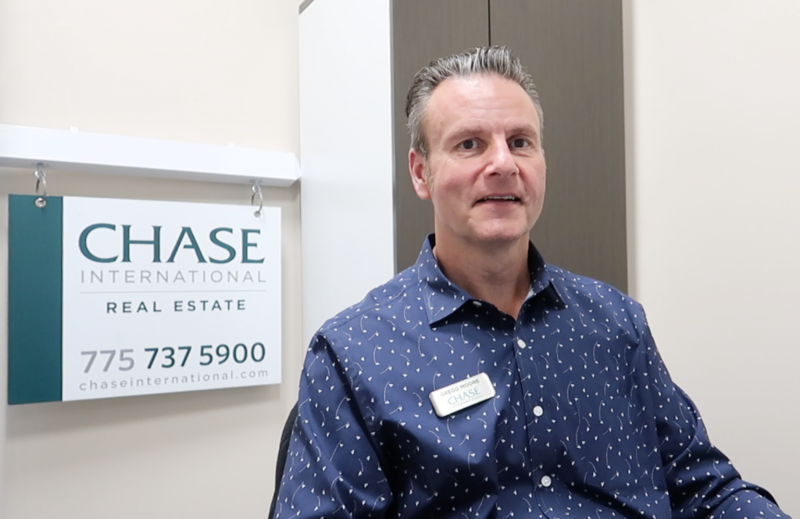 Gregg didn’t immediately jump into the business, but after a stint in the Navy and running his own advertising business for seven years, he ended up deciding to get into real estate. He came to Chase after narrowing his choice to the four or five brokerages that he would consider. He started out part-time to build up reserves, with a plan to go in full-time the second year. His favorite part of the business is helping people get what they want. Gregg began thinking about a move to management when Chase offered a rigorous series of leadership seminars for agents. Out of 20 participants who started the program, two actually finished, including Gregg. So when the opportunity arose to become part of the leadership team at Chase, he jumped on board and has been going at it ever since. 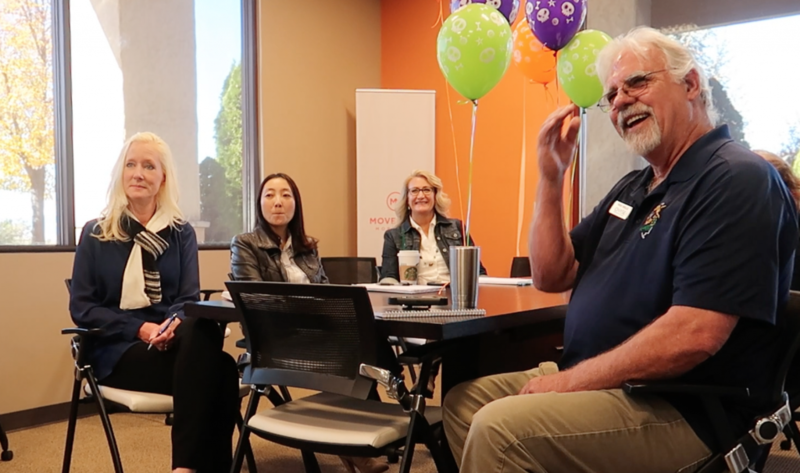 “We just had a managers retreat,” said Gregg, “and when I came back, the agents asked, ‘How was it?’ And I said, ‘You’re working for such an amazing company, even more than I knew. 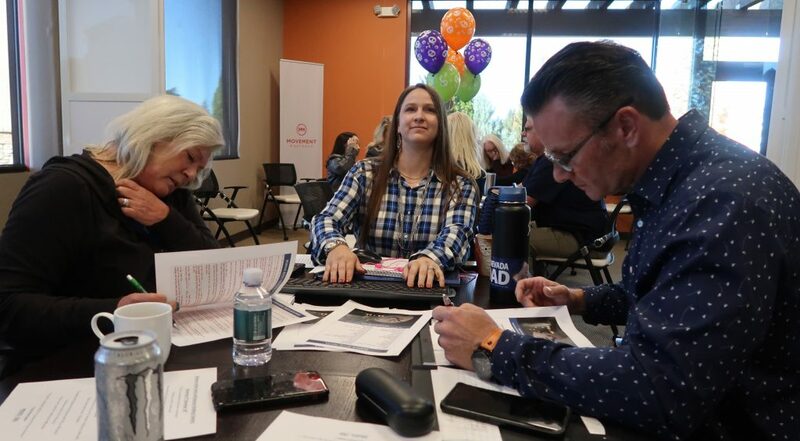 Because we spent three days with the entire leadership team, from Shari Chase to the COO, to the CFO, all the brokers, all the managers, anyone in a leadership role, for two-and-a-half days figuring out how to make a better experience for agents and clients. Fun fact about Gregg: He spent two years in a submarine with the Navy. Agents file into the conference room, talking and laughing. The mood is upbeat. 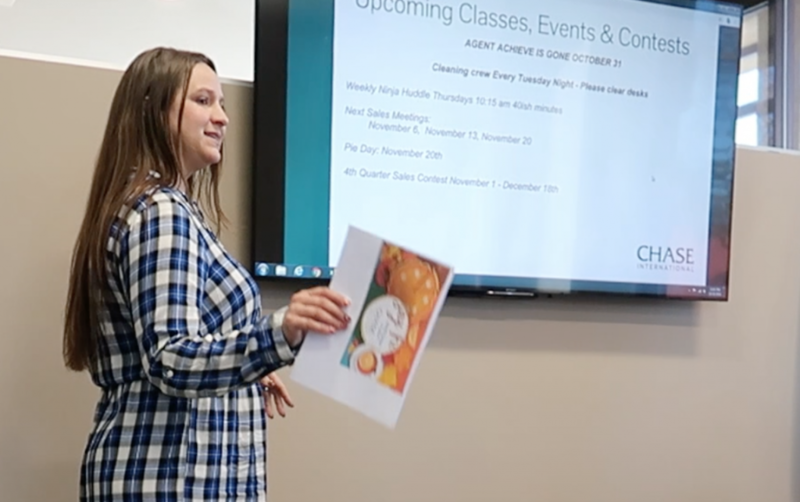 Tiffany walks in, gets their attention and begins the weekly meeting with gratitude, asking each agent to share one thing they’re thankful for. The answers vary from heated leather seats to a difficult transaction finally closing, with happy clients settling in. She moves on to market updates, lending conditions, challenges in the field and an agent discussion of wants and needs on behalf of their clients. Tiffany wraps up with a fun teambuilding exercise to get everyone into the Halloween spirit for the lunch buffet to follow, compliments of the lenders. 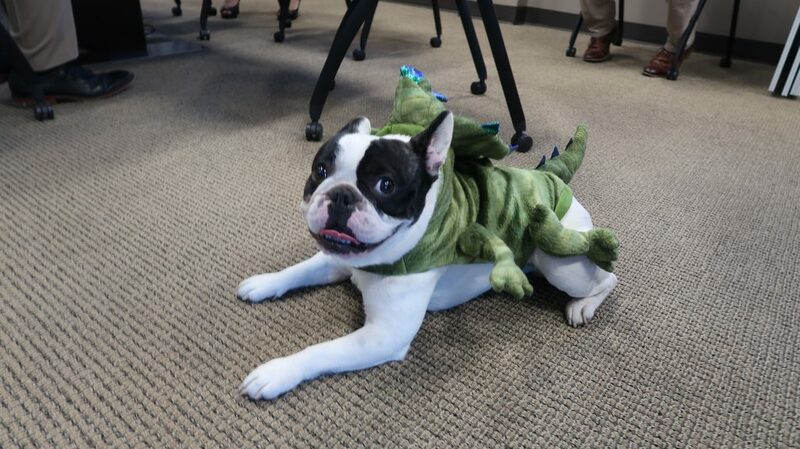 As Tiffany explains the rules of the game, a little French Bulldog in a dinosaur costume licks her leg for a full minute. Everyone laughs as she tries to ignore it. The vibe is like family, with agents supporting each other in support of their clients. I can’t imagine a nicer place to work. Tiffany and Gregg are looking for a few good agents to join their team. If you want to grow your business while living a life you love, please reach out.